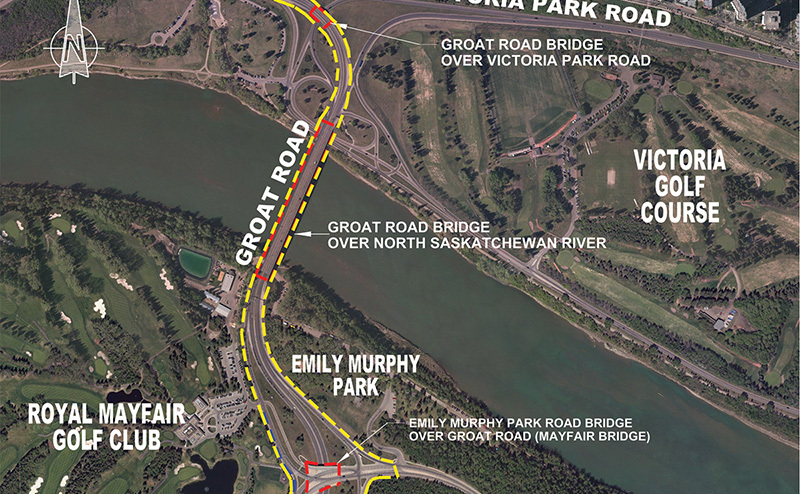 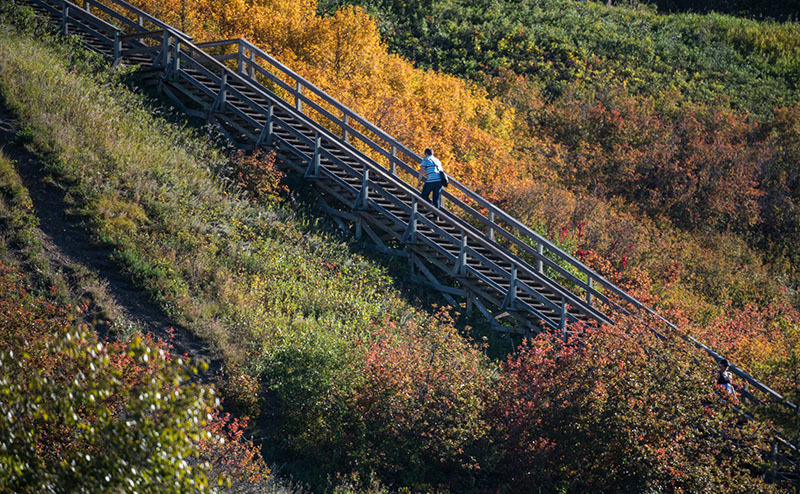 Bridges along Groat Road over the North Saskatchewan River, Victoria Park Road and Emily Murphy Park Road are undergoing rehabilitation. 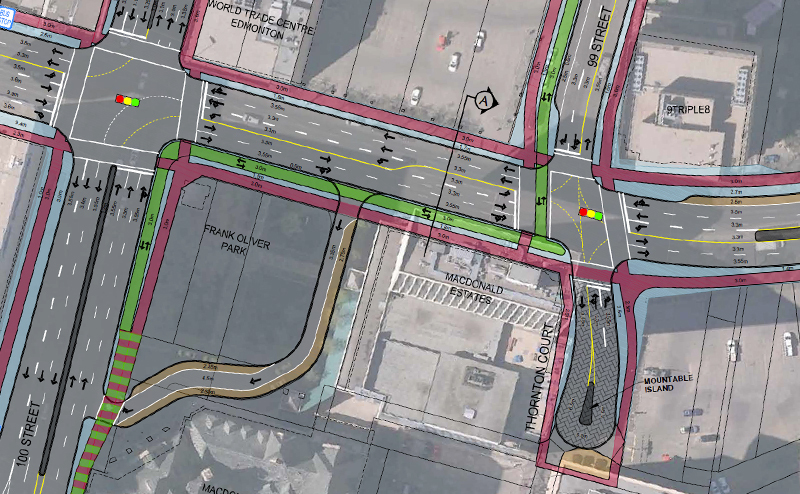 This project will feature a high-quality pedestrian experience to attract more visitors downtown and support area businesses. 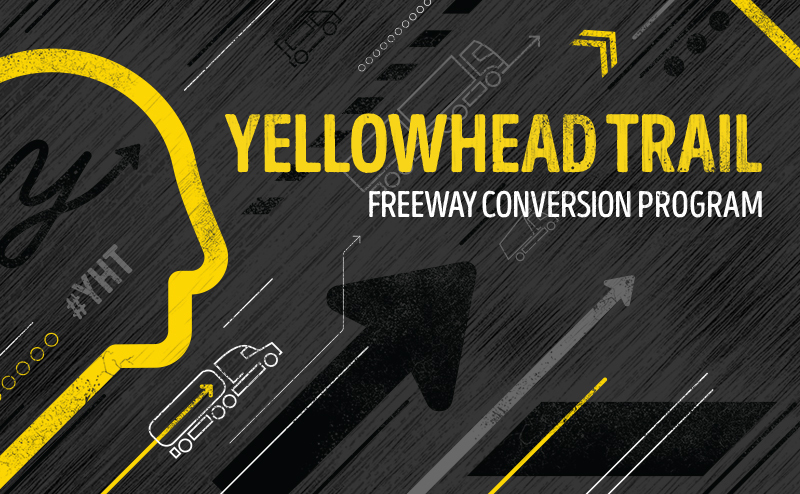 As part of Edmonton’s Transportation Master Plan, Yellowhead Trail will undergo major upgrades and modifications to convert it to a freeway.